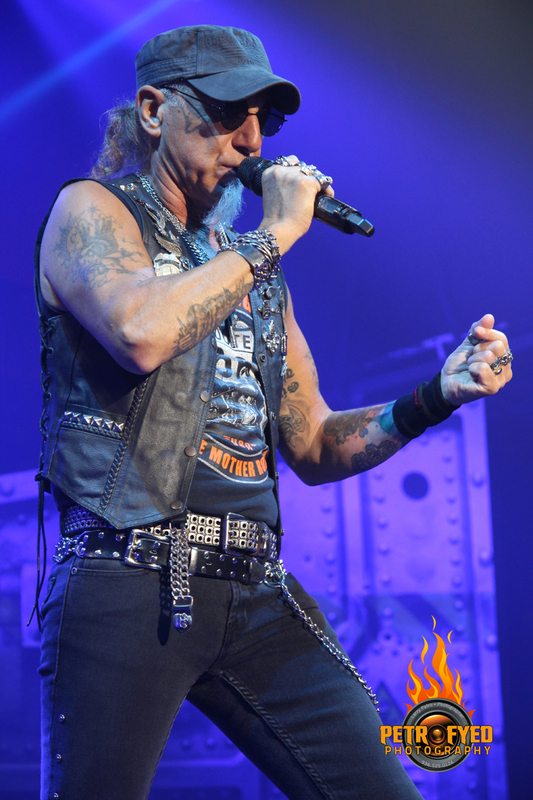 KNAC.COM - Reviews - ACCEPT In Houston, TX With Photos! 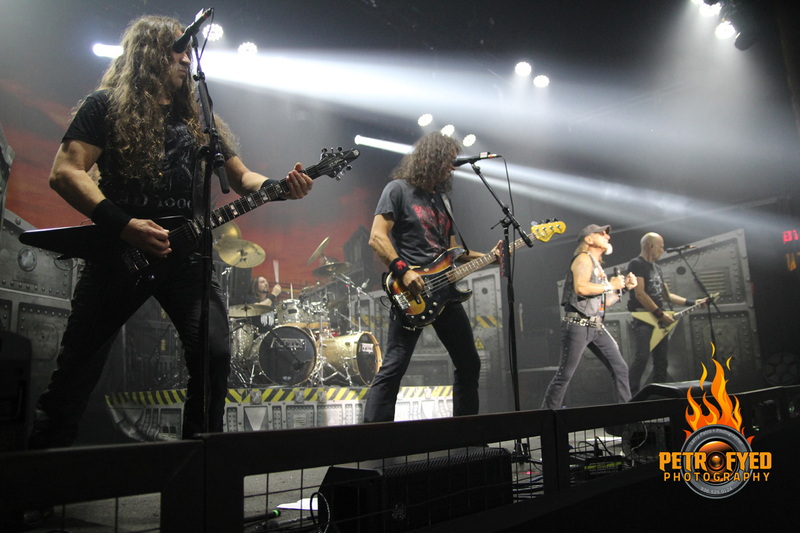 ACCEPT In Houston, TX With Photos! 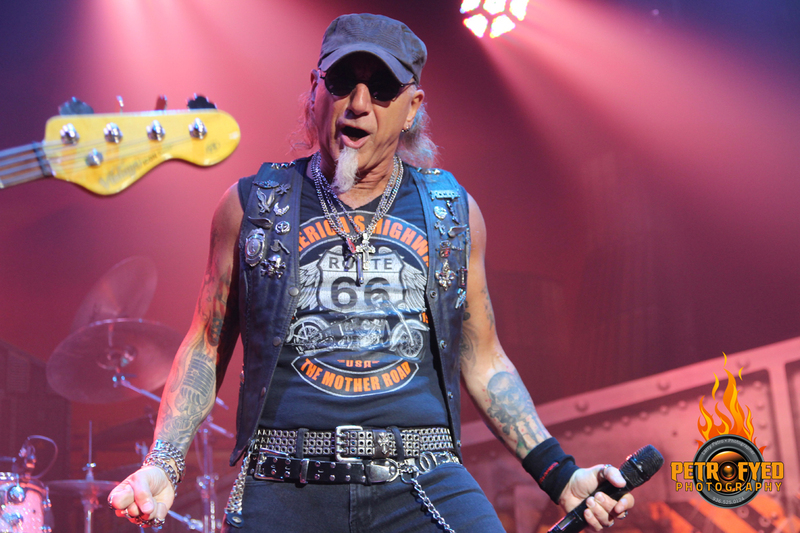 The year was 1985 when a tour featuring KROKUS, ACCEPT and CONEY HATCH (remember them?) rolled into Houston for a show at the long-since-demolished Sam Houston Coliseum in downtown. 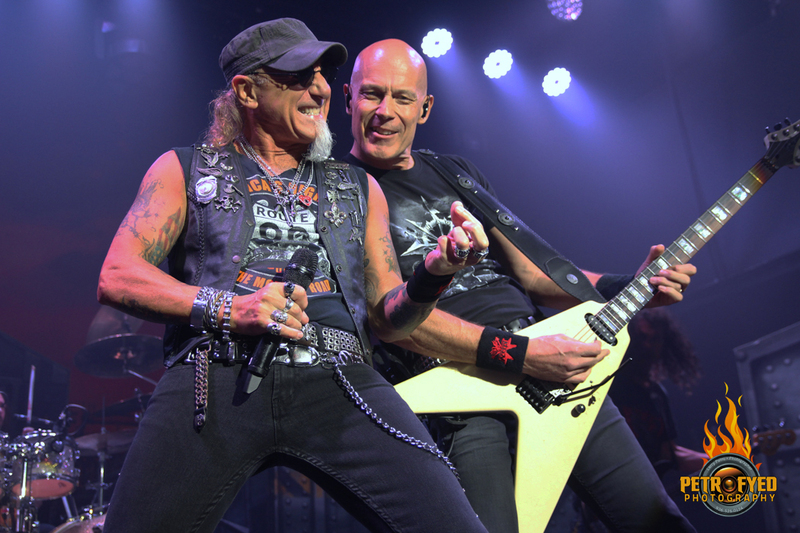 A great show to be sure but little did I know then that would be my one and only time to catch ACCEPT live for the next 33 years! This show was originally supposed to take place last year at this time but Hurricane Harvey had other plans, leaving Houston a devastated mess and ultimately forcing the band to cancel their plans to perform here. But thanks to the efforts of John Escamilla at Jetspeed Entertainment, the band did indeed return to Houston to play the show they missed. The show was definitely worth the wait! There were two local openers on the bill, the first being SPACE RHINO, a band I had never heard of nor seen live even though they've been around a few years. The band put on a fine performance of what I would describe as a doom/psych metal kind of vibe. Despite a nice set by the band unfortunately there weren't many people yet to witness it. Next up was a local favorite of mine, LOVE AND WAR, or LOVE N WAR, and if you've ever read any of my other reviews then you've probably seen me rave about this band on more than one occasion. These guys bring it 100% every time they play and tonite was no exception. 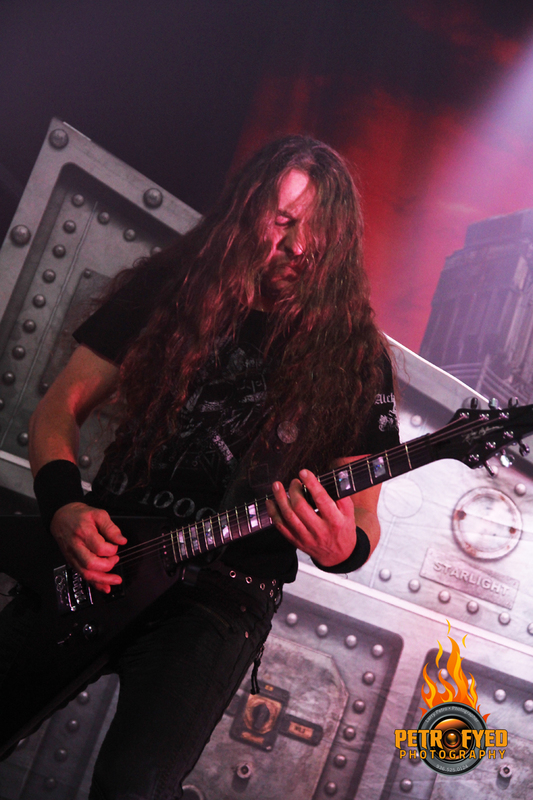 As the band inches closer to the completion of their new album, Edge Of The World, their setlist the last couple of shows has been heavy on new material, which suits me just fine as it's definitely heavier and more aggressive than their first release, Up The Annie. 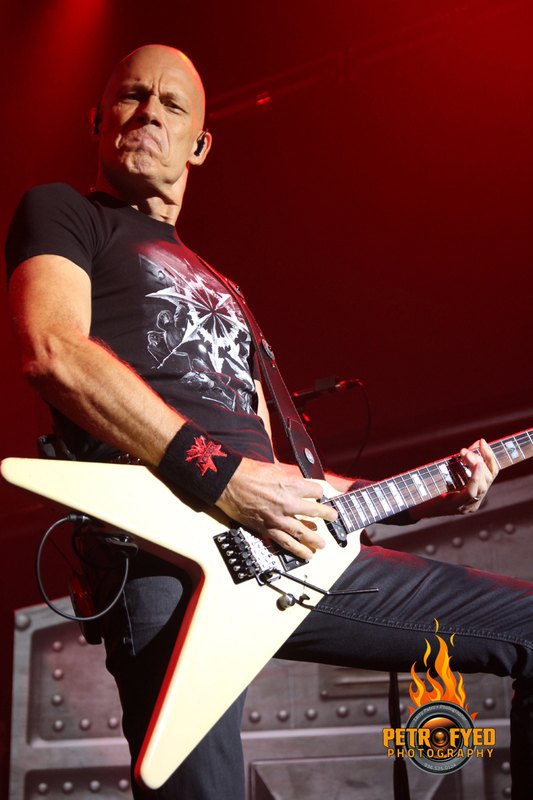 Songs such as opener "Sidewards Flight", "Mercenary Man", "We All Fall Down" and the new album's title track got the crowd primed and ready for what would come next, the mighty ACCEPT! 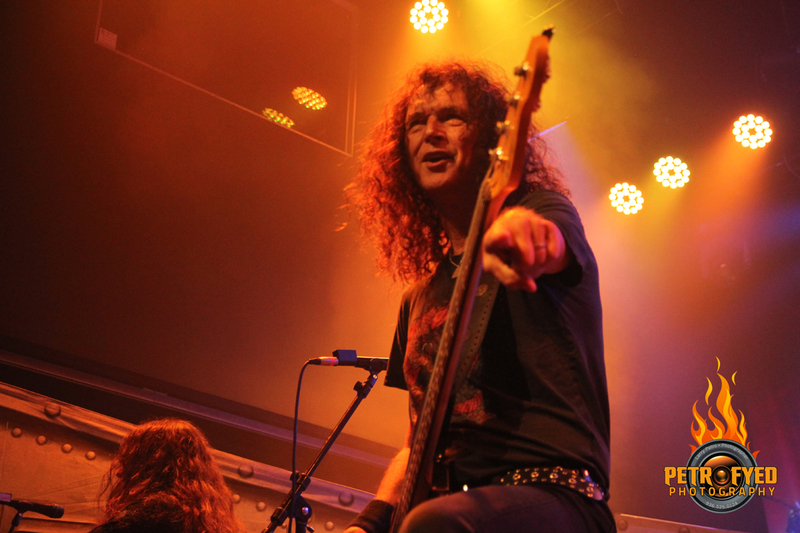 With the stage adorned with props that gave the appearance of a World War II prison the band emerged to unleash the German fury, launching their 2 hour, 21 song set with "Die By The Sword", from last year's phenomenal album, The Rise Of Chaos, which appeared in over half of the KNAC.COM staff's Top Ten releases for 2017. By now the crowd had grown considerably even though countless others were probably not in attendence because SKID ROW was also in town playing a free show just a few miles away. This show however was by far the better musical choice for the evening as the band plowed ahead with a semmingly endless supply of anthemic rockers like "Stalingrad", "Restless & Wild", "Pandemic", "Koolaid", "Princess Of The Dawn" and "Metal Heart". 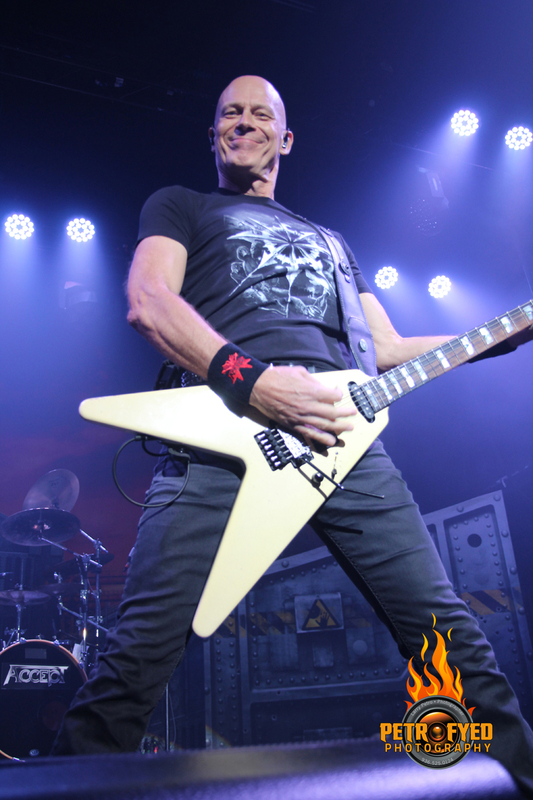 In a recently posted interview with guitarist Wolf Hoffmann on KNAC.COM, he spoke about the financial difficulties of touring in America and even stated that they had no expectations of making money on this short set of tour dates, but that they were doing it "for the fans". 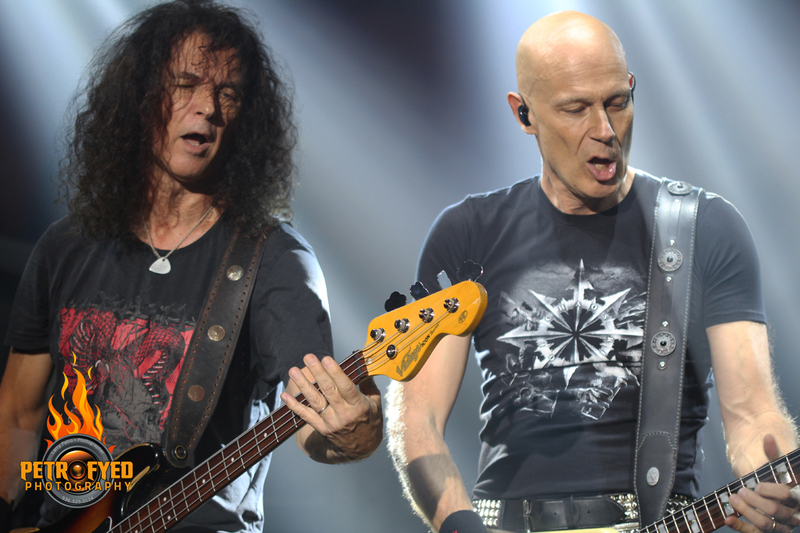 Now while lots of other bands talk about doing things "for the fans", I can attest that this was not just lip service from ACCEPT. 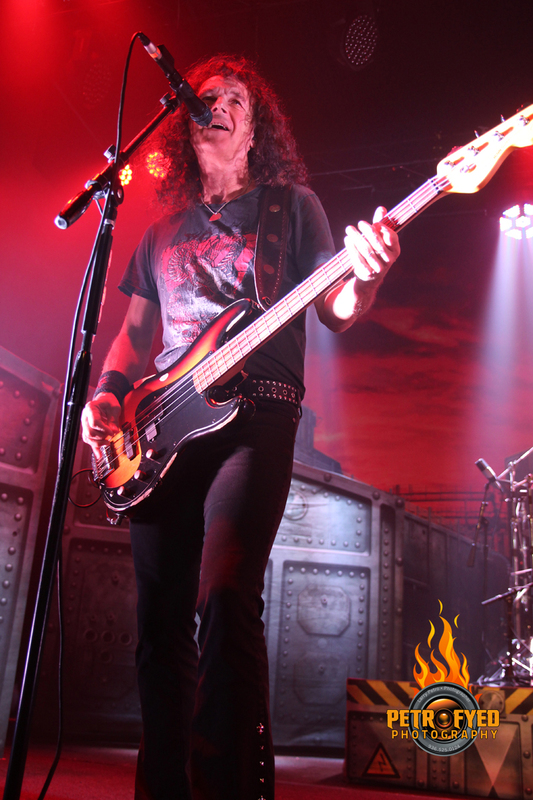 As the only approved photographer for the show I witnessed firsthand what a great time the band was having. 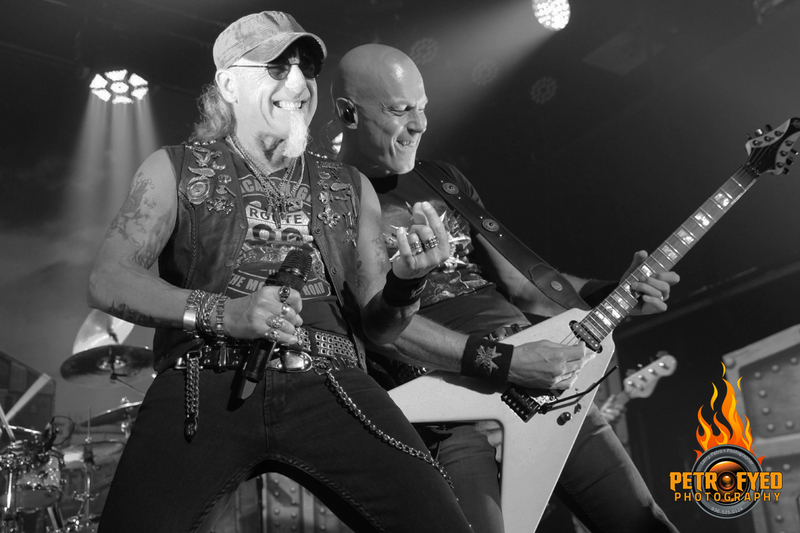 Nearly every time they saw me pointing my camera in their direction, guitarist Hoffmann and frontman Mark Tornillo especially, would ham it up for the lens (see photos below). Hell, I don't think I saw Wolf Hoffman without an ear to ear grin on his face the entire show. 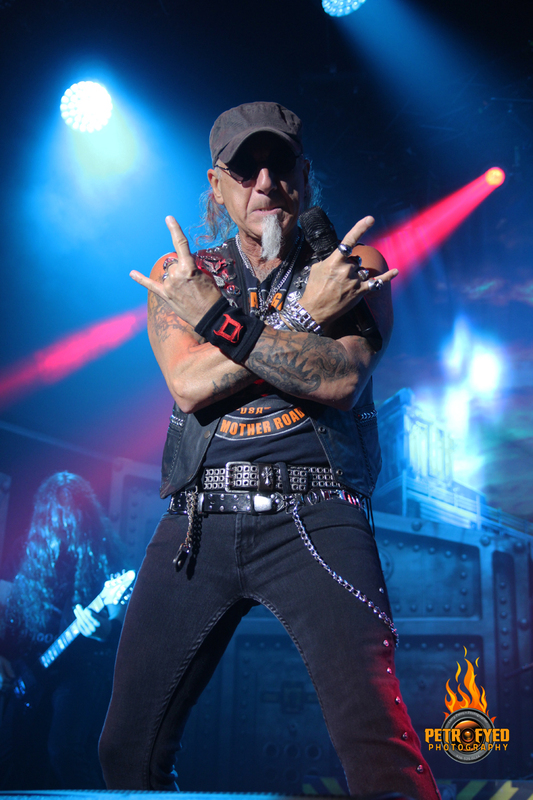 Considering the fact that they probably lost money on this tour, ACCEPT could have done any number of things, such as playing a shorter set or even mailing in their performance, but no such thing occurred. 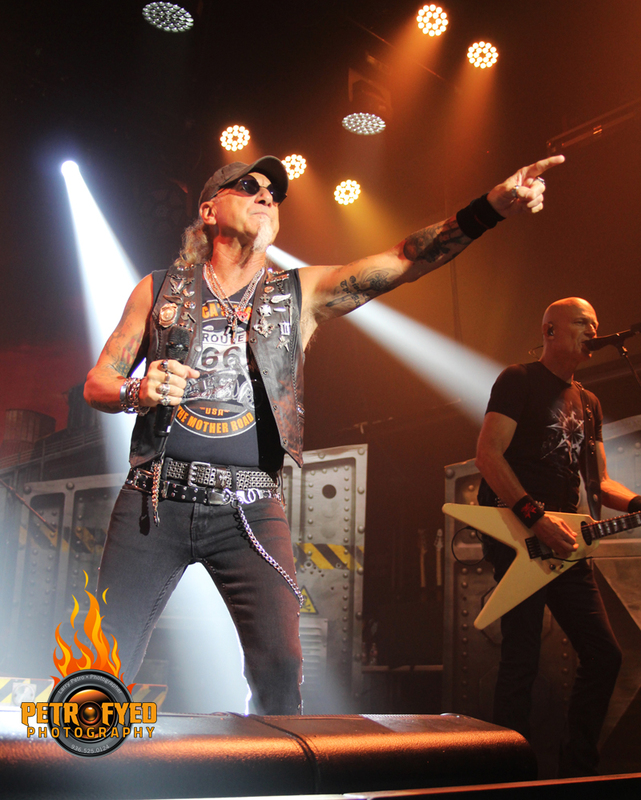 ACCEPT gave the fans more than their money's worth, finishing up the pre-encore portion of the show with "Teutonic Terror" and the song that got me hooked on ACCEPT in the first place, "Fast As A Shark". 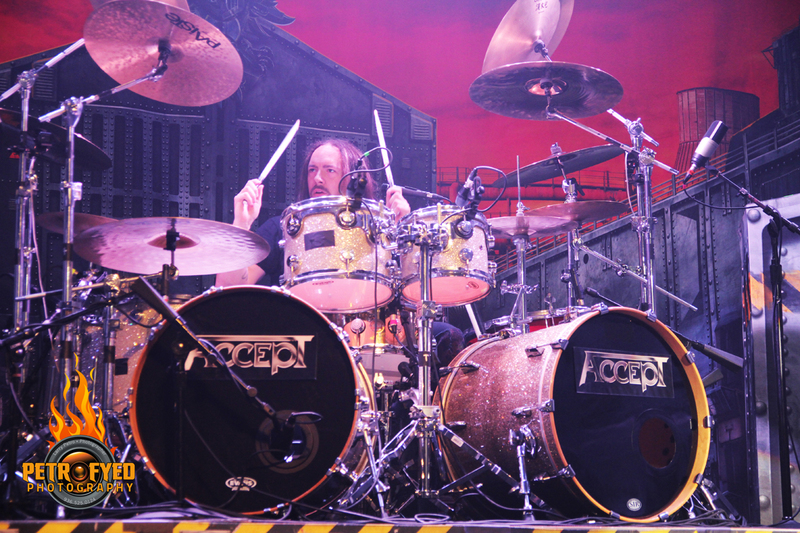 The band returned after a brief break for encores "Demons Night", "Midnight Mover", "Balls To The Wall" and "Rebel". As I headed for the parking lot, I couldn't help but marvel at how tight the band was and how great it sounded in this newer venue. 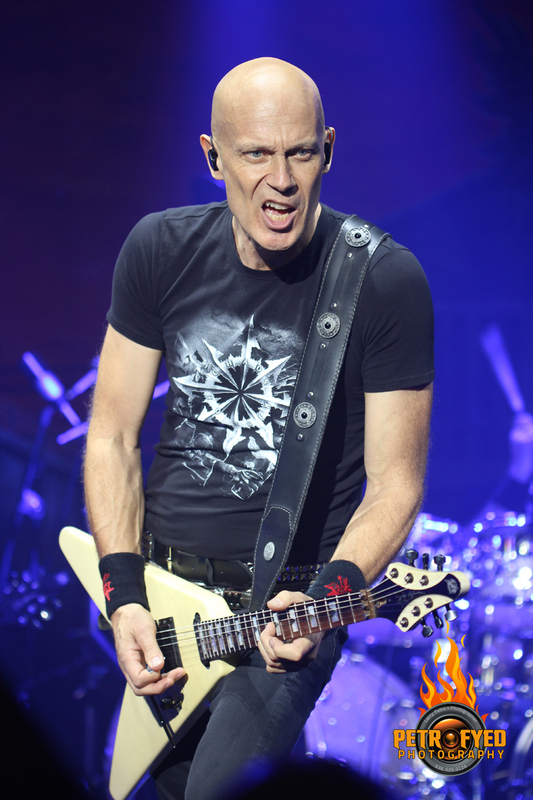 My disappointment at last year's show cancellation was placated over and above with this year's concert as I left completely satisfied with my ACCEPT fix. It was most definitely worth the 33 year wait!